Written by Dr. Mashfika N Alam and medically reviewed by iCliniq medical review team. Sinusitis is defined as inflammation of the mucosal lining of the sinus passages. 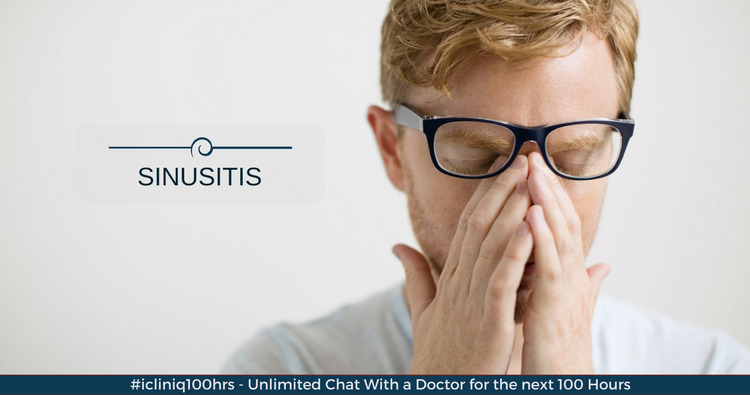 Frequent attacks of sinusitis for over three months, also known as chronic sinusitis, result in the thickening of the mucosal membranes and an excess production of nasal and sinus secretions. These secretions are usually thick and sticky and frequently predispose the sinuses to bacterial infection. Frequent exposure to allergens, such as dust mites, mold, pollen, etc. Exposure to extremes of air temperature. Certain structural deformities in the upper respiratory tract, such as a deviated nasal septum, nasal polyps, hypertrophy of inferior turbinates (chronic sinusitis can itself cause hypertrophy of inferior turbinates), allergies. Nasal polyps and deviated nasal septum are by far, the commonest causes of chronic rhinosinusitis. Hence, it is important to ensure proper and adequate treatment of sinusitis, both acute and chronic. What is the reason for foul smell in my mouth? What can be done? Completed a course of Azithromycin but no relief. What can be done? Commonly, a doctor can identify sinusitis by the history of symptoms and clinical examination. Other than that, an X-ray of paranasal sinuses can clearly point out the presence and in most cases the underlying cause of sinusitis. Steam with menthol inhalation three times a day. Nasal saline wash with a neti pot. Avoid allergens such as dust mites, mold, pollens, etc. by wearing masks or avoiding contact with mold spores or animal dander can significantly decrease the attacks of rhinosinusitis. Drink a mixture of warm water, honey, and lime to clear the mucus stuck in the throat from post-nasal drip. Nasal decongestants (not longer than three days if used thrice daily, as they can cause rebound congestion). Nasal steroid spray (Budesonide or Fluticasone) to control the inflammatory process. Antibiotics are required if there is fever or/and purulent nasal discharge. Mast cell stabilizers may be used to control symptoms of allergies. Do you have a question on Deviated Nasal Septum or Sinusitis? Are the recurrent headaches due to sinusitis?